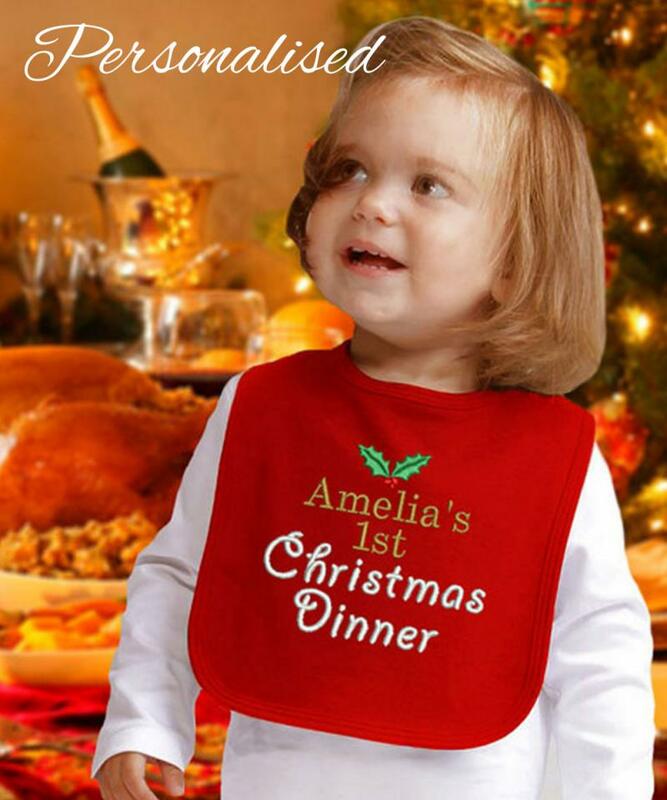 Personalised 'First Christmas Dinner' Bib embroidered with your child's name. The cutest accessory for your little one to wear at the dinner table this Christmas! Please allow up to 5 working day for production before dispatch.